We first used the Alpine 10 Daysack from LittleLife on holiday a few months ago and it was fantastic. 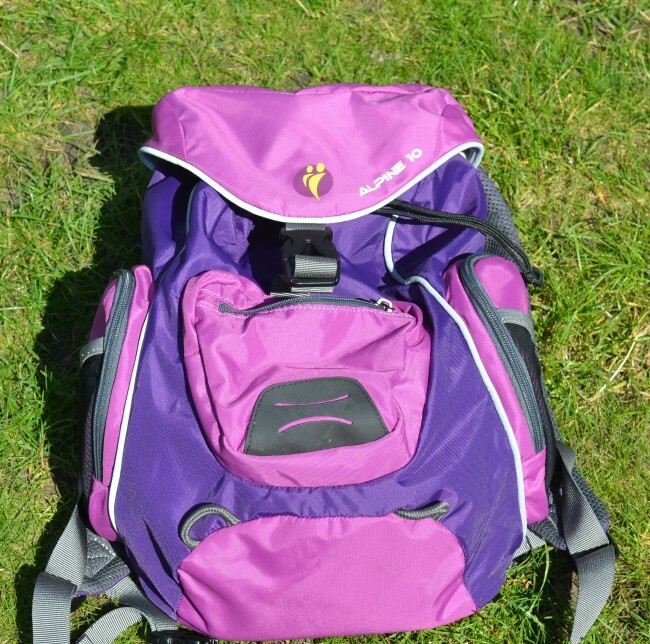 Firstly, the bright purple colour meant we could spot little S wherever she was, and it held everything she needed as well as overspill from her brother and sister’s bags. The 10 litre capacity is perfect, any bigger would’ve been too heavy, but it was just about right. The side pockets were perfect for holding drinks, snacks or card games and the grab handle great for when I had to pick it up in a rush. We didn’t use it in the evening, but the reflective piping would’ve been fab if we had. Little S loved that the waist strap buckle was also a whistle, although I’m not sure the rest of the airport did. The straps are fully adjustable which we needed as S is so small and the chest strap really helped spread the load for her. The Alpine 10 Kids Daysack retails at £32.99 and is also available in blue. 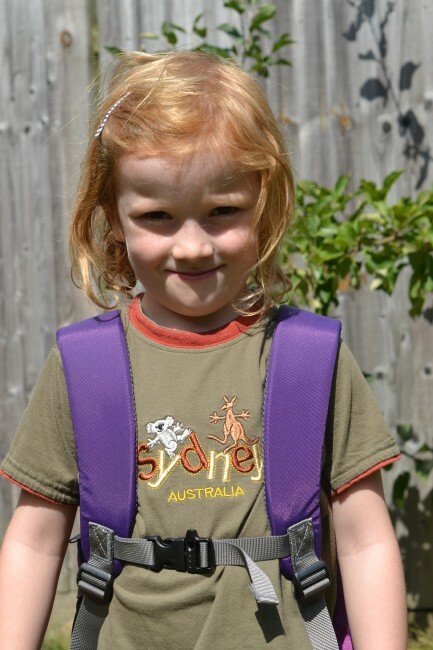 For smaller children how about the Alpine 4 Daysack? We were sent the Alpine 10 Kids Daysack for the purpose of this review.